If you are going to launch a crowdsourcing initiative, one of the first things you should think about is where you will find the crowd that will help you doing the task proposed. It’s true that the crowd that participates in crowdsourcing initiatives are in the Internet, but obviously they cannot be accesed in a simple and direct way. So where exactly is it? The quick and simple answer is: in the user communities. And where are these user communities? When a crowdsourcer uses the platforms offered in the market, it’s because it suits the crowdsourcer needs. For conducting microtasks, Microtask or AMT can be used. In the case of seeking a solution to a complex problem, Innocentive can be the solution. For a logo design, among many others, 99designs or Adtriboo can be used. If you are looking for funding for a project, Lánzanos or Kickstarter. If funding is for a movie: Kifund, while if it is for a project related to music: First Clap … and counting. In this case it is important to know that these platforms normally have a crowd to offer tasks. For example, Amazon Mechanical Turk has a crowd of over 500,000 people. InnoCentive has more than 250,000 crowdworkers specialists in different areas of about 200 different countries. Adtriboo, a creative crowdsourcing platform, has a crowd of more than 120,000 designers. Many of these sites also have Facebook page (Innocentive, Threadless, etc. ), LinkedIn groups – whether or not officially driven by the particular platform – (Innocentive, Amazon Mechanical Turk, etc. ), Forums (Threadless) blogs (Innovative Ideators, 99designs, etc. ), Twitter accounts (Goteo, Adtriboo, etc.) and other means of various kinds (like the classic mailing) to have their particular crowds informed. Other user communities, candidates to be part of the crowd of a crowdsourcing initiative, are those formed by customers of the company that launches the initiative. These user communities may have been created on Facebook, in the companies websites, etc.. The remarkable thing is that this part of the crowd already existed prior to the launch of the crowdsourcing initiative. And of course, this community was created with a purpose other than the crowdsourcing initiative. For smaller companies, which often have not created user or customer communities, the task is more difficult. The issue is not to find the crowd but to build it. And here plays a fundamental role someone that plays the role of a Community Manager, to create, interact, maintain and manage the user community (subject of the next post). Apart of company and crowdsourcing platform (if one is used) user communities, there are plenty of Internet user communities that may be interested in the initiative. These user communities can be found on Facebook (there are plenty of open groups where specific topics are treated daily), LinkedIn (idem) and in any othe social network. 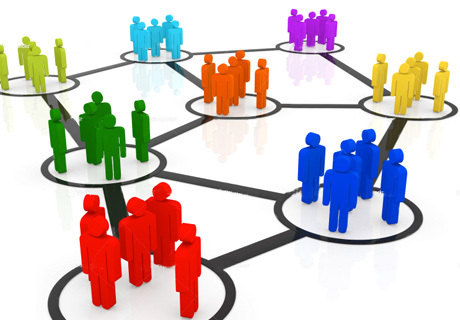 Also specialized forums and webs can be a place in which find other user communities. Obviously, potential candidates for the crowd can be also found outside user communities. These persons can be reached contacting them personally through the mail, twitter, etc.. they can be users that are specialists in an area related to the initiative or for example highly recognized people who can promote the initiative and reach many other people, and so on. And yes, family and friends are people to count with. In fact, family and friends, coworkers, etc.. the inner circle of those who launch the initiative, are a group (not a user community) that is often used. They can help to spread the initiative and, if possible, will also participate. Depending on how crowdsourcing initiative is planned, the user communities available will be different. If the initiative is developed in a specialized platform, all user communities listed in this post will be possible candidates. If the initiative is developed by the crowdsourcer independently (which means that the crowdsourcer must develop a web platform or somewhere for carrying out the initiative), the communities available will be the company one, the external user communities and the independent users.